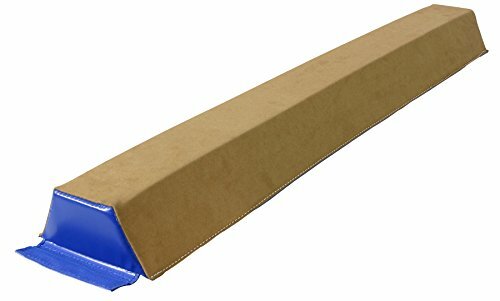 Tumbl Trak's 4ft. sectional balance beam helps gymnasts gain confidence walking on a 4in beam. 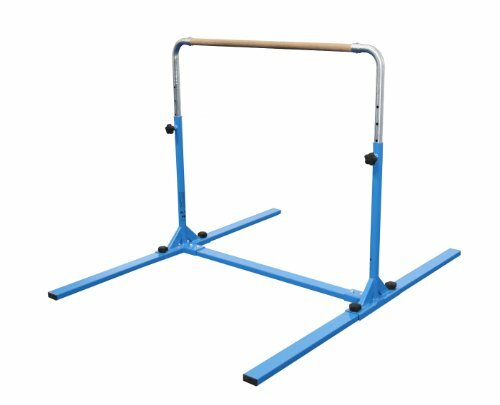 The balance beam is also perfect for practicing skills like donkey kicks, handstands, jumps, leaps, and obstacle courses. 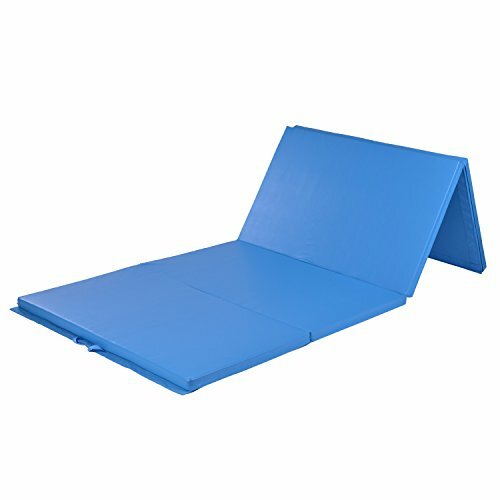 Features of Gymnastics mat : 1.Set up in your living room, back yard, at the beach, anywhere, whether indoor or ourdoor. 2.Easily portable from gym to gym. The Air Floor is so light and small it will easily fit on the back seat of your car. 3.Inflating and deflating is done in a single minute. 4.You can set the pressure to anything between rock-hard and bouncy-soft. 5.Jumps can be repeated more often with less chance of overuse injuries than on traditional training equipment, martial arts, elderly gym, fitness. 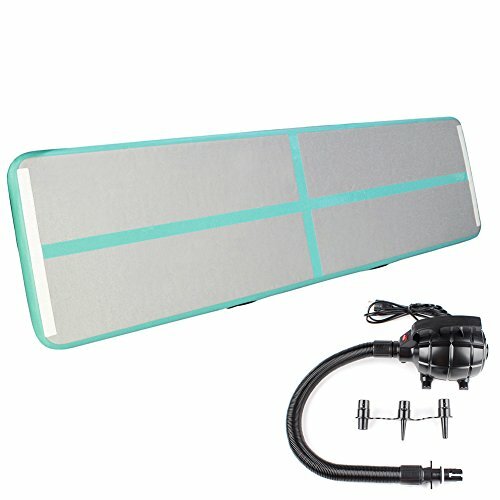 6.Size of the mat:10Feetx3.3Feetx0.3 Feet Electric Air Pump: Voltage:AC 110V-120V Max Pressure: 2.8 PSI / 0.193 BAR Weight：2.64LBs/ 1.2KG Package Include: 1. Air floor 2. Electric air pump 3. Handle PVC bag 4. Repair kits (excluding glue) TIPS: 1. Make sure there is no fire around or sharp things,when have it in use. 2. Make sure the Inflatable Mat in the dry places storage , and pay attention to rodent control insect bites. 3. If the product damage within 0.3ft, you can use the repair glue and repair film, in the damaged and repair film coated with special glue.4. 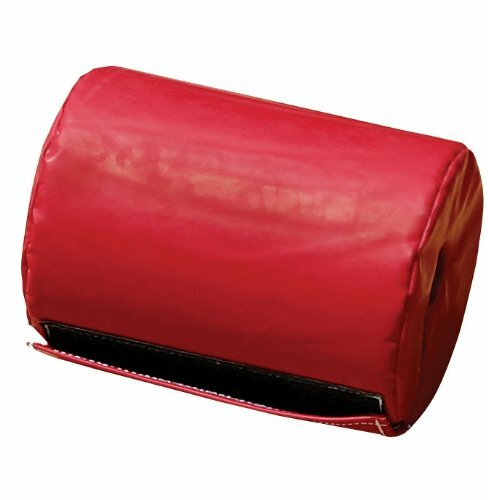 More Safe: compared with other exercising equipment, the air Tumbling Mat increases the buffer time and reduces the chance of being hurt. Color: Orange Air Floor:3m /9.8'x 1m /39"x10cm /4"
Tumbl Trak’s blue Jr. Bar Pro is the amazing upgrade to our Jr. Kip Bar. This bar provides a much easier set up (and take-down), has a stronger, more durable frame and only takes a 4’x6’ stamp on the floor. 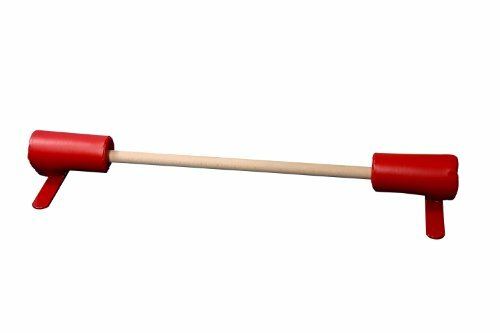 The Jr. Bar Pro features special knobs that allow for quick adjustment of the 1-1/2” diameter solid maple bar from 38" up to 59". No base extensions or plywood is needed to further stabilize the unit, as we recommend for the Jr. Kip Bar. Tumbl Trak’s Bar Pad is 9.5” long and wraps around a 1-1/2” diameter bar. 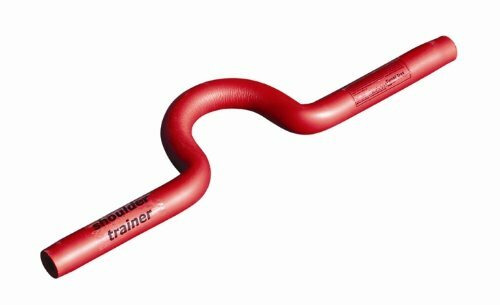 Its red vibrant color and great padding helps any gymnast learning new skills on our Jr. Kip Bar or Jr. Bar Pro. Bring your gym training home! 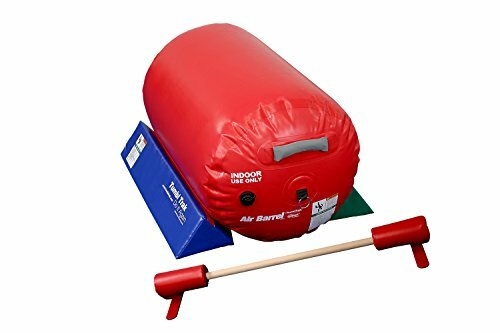 The Home Air Floor offers all the benefits of our inflatable equipment in a smaller, lighter, and cheaper package. Whether you're at home, on vacation, or at a friend's house, you can still train like you're at the gym! Easy to set up, store, and move around. 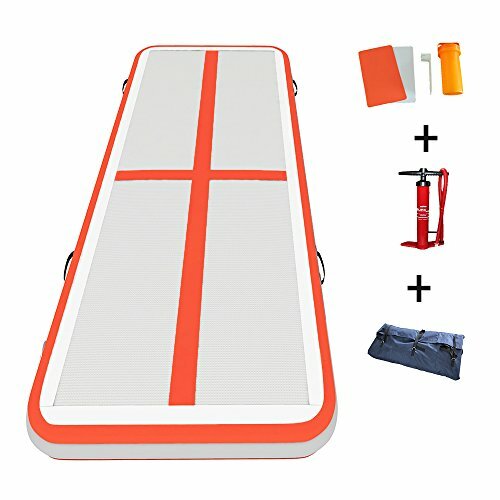 Also it can be used on water and float naturally on a pool or even on the sea like a floating boats. One click and get it to your home. Hope you have fun with your family and friends! Product maintenance and maintenance: 1, the product damage within 10cm, you can use the repair glue and repair film, in the damaged and repair film coated with special glue, glue 5 minutes after the sticky sticky after heating bonding, appropriate extrusion, a few minutes After the normal use. 2, in case of wind, rain, snow, fog, hail and other weather, equipment should be strictly prohibited to avoid accidents. 3, do not use a long time, you can use the washing powder to remove the surface stains clean, and then scrub with water after the sun can dry. 4, if long-term do not have to clean and dry after drying the product will be folded, bundled, packaged well. Storage temperature is generally in -50 ~ +40 degrees Celsius is appropriate Products should pay attention to rodent control insect bites. The Floor Bar can be used in many creative ways with other Tumbl Trak products where “bounce to Handstand” drills can be practiced. The metal base of Tumbl Trak's Floor Bar has Velcro on the bottom to allow for easy attachment to carpet. Practicing control of the handstand, which is probably the most essential skill in gymnastics, is less stressful on athletes’ wrists when using our 4’ long floor bar. Home Gymnastics Equipment and Tumbling! Compare prices on Tumble Track Equipment at ShoppinGent.com – use promo codes and coupons for best offers and deals. Start smart buying with ShoppinGent.com right now and choose your golden price on every purchase.